This little wooden storage box is ideal for storing those favourite teas, treasured trinkets or for storing all those hobby & craft accessories. Rustic wooden box with a glass topped hinged lid that closes over 12 little compartments. 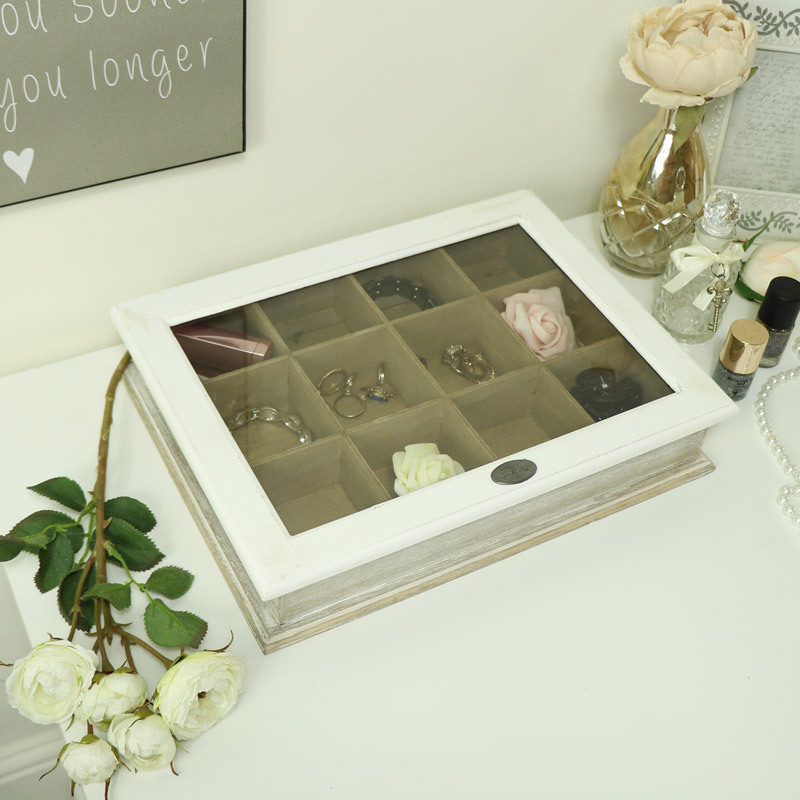 A great way to keep all those bits & bobs organised. This will make a great gift idea for anyone who is into hobbycraft. This little wooden storage box is ideal for storing those favourite teas, treasured trinkets or for storing all those hobby & craft accessories. Rustic wooden box with a glass topped hinged lid that closes over 12 little compartments. 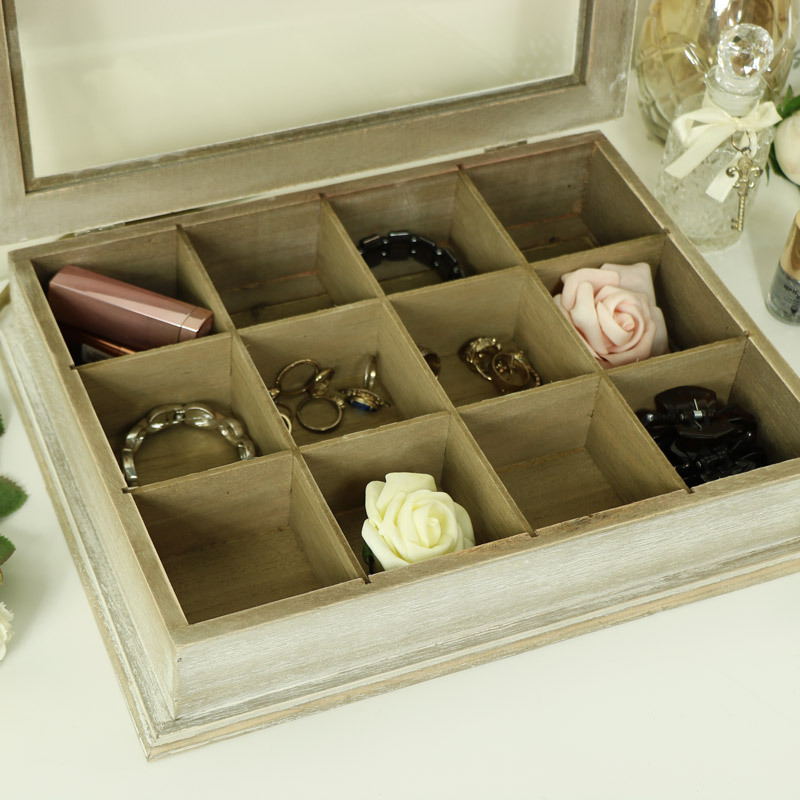 A great way to keep all those bits & bobs organised. This will make a great gift idea for anyone who is into hobbycraft. 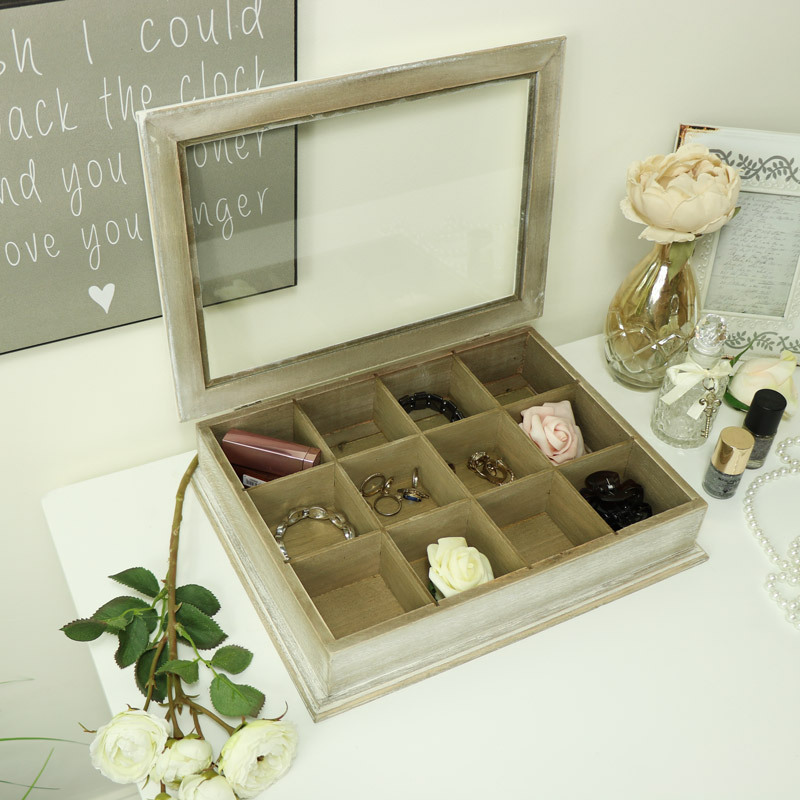 Made from wood with a distressed white & natural rustic finish and glass topped hinged lid. Part of our extensive selection of gifts and home accessories, with something to suit every occasion.